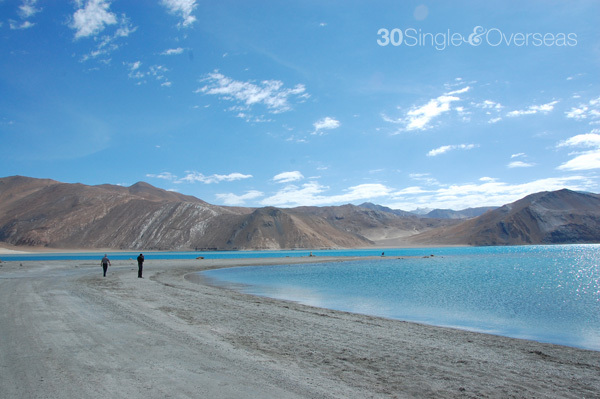 My condolences goes out to the family and friends of the recent tragedy in Leh, Nimoo and Choglamsar. Please email me if you would like to make a donation to help. 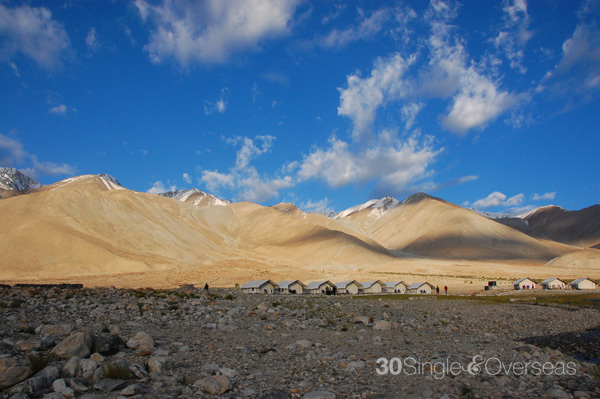 I’ve stopped using the phrase “the most beautiful place on earth” on my blog because there are just way too many beautiful places out there, but Ladakh is something else. Amazing, spectacular, majestic, unreal, heavenly, the list goes on. This place is like no where else I've been in the world and it has truly changed my life in more ways than one. 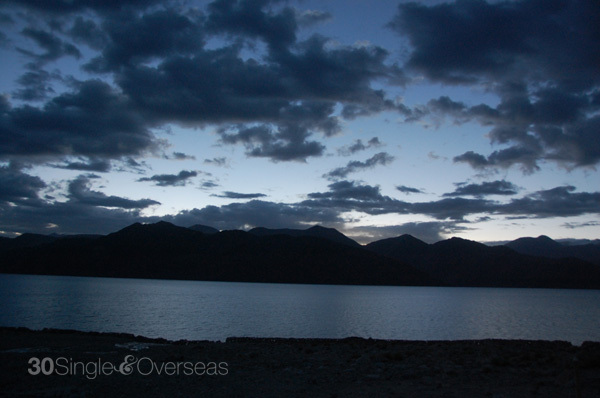 I'm still sorting out 3000 photos taken during this trip but here are some photos taken at Pangong (or Pangong Tso), which is a lake in the Himalayas situated at the height of 4,350 m (14,270 ft). 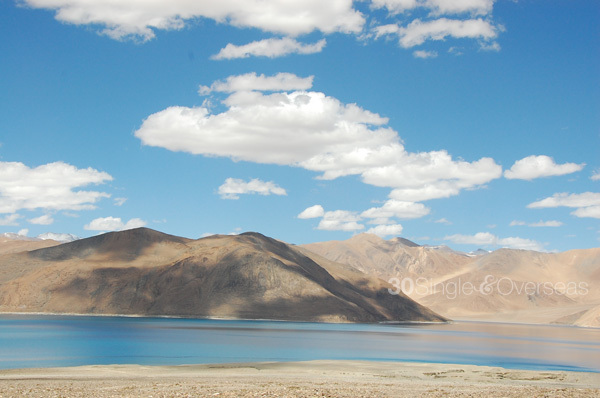 Pangong Tso. See those lines - they are roads without guardrails, very common in India but illegal in the US. 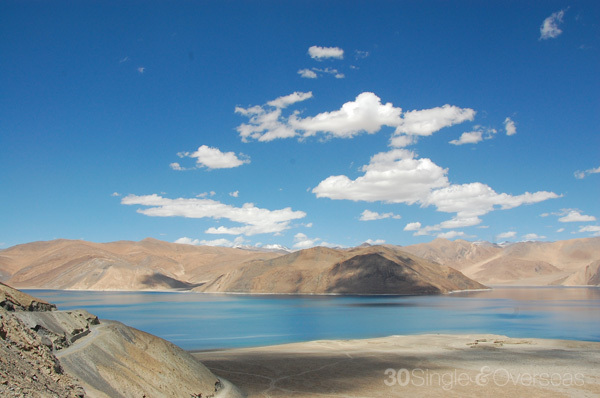 Scenic drive from Leh to Pangong. 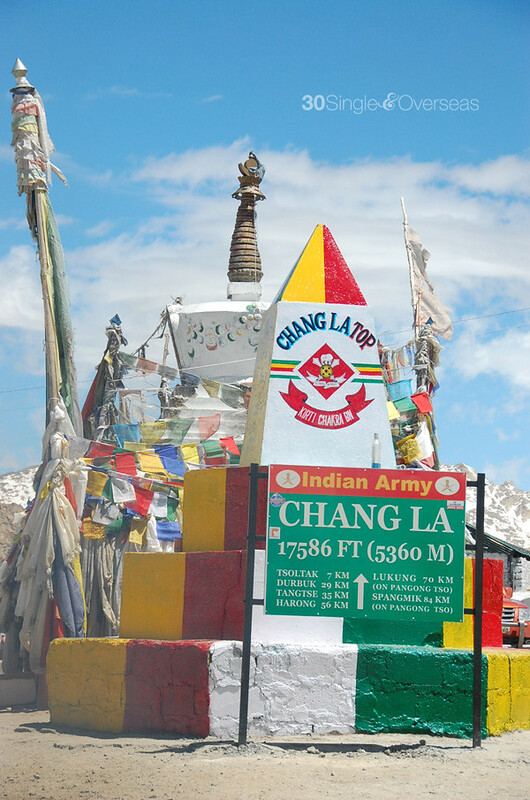 Depending on the conditions of the road (most of the time, the conditions are scary) the drive from Leh to Pangong takes about 4.5 hours, via Chang La - the 3rd highest motorable road in the world. A quick toilet and snow-throwing stop. 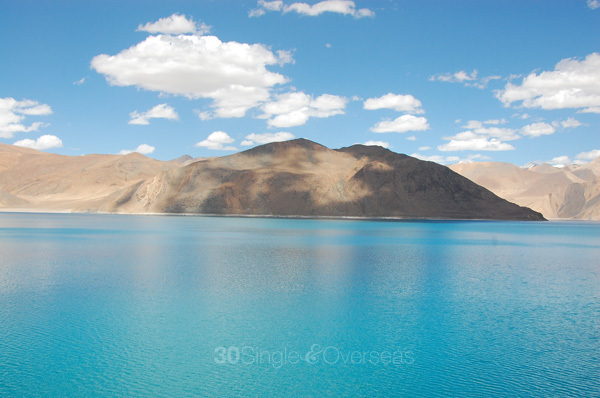 40% of the lake is in India and the rest lies in Tibet, now China. To date, this is the nearest I've ever been to China. 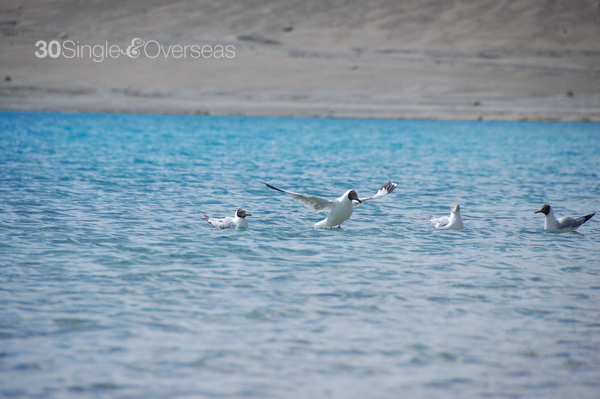 The water in the lake is salty and has very little aquatic life. It's strange how these seagulls managed to live up here. 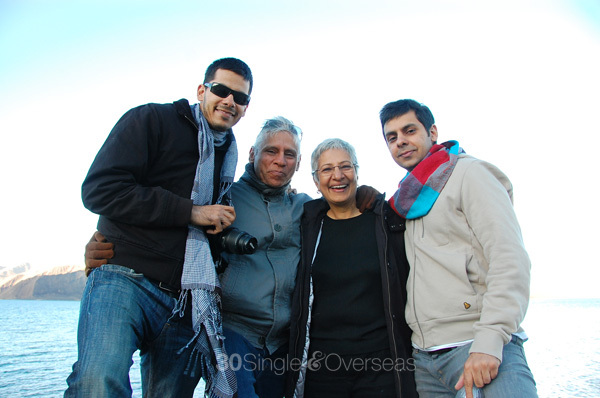 Place where they shot a scene in the annoying Bollywood movie The Three Idiots. Our camps next to the lake. 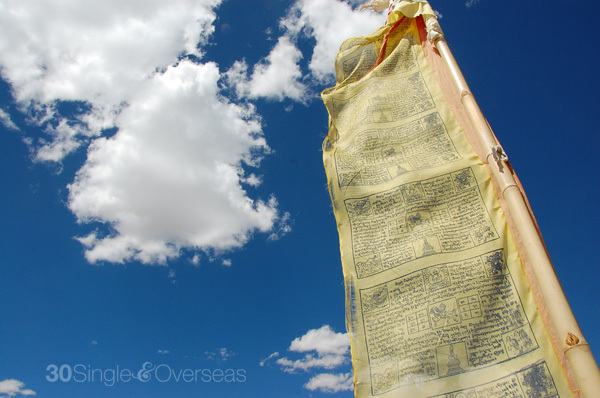 Buddhist prayer flags. You'll see this almost in every household and hotels in Ladakh. "A" testing out the water, which he found out was freezing cold! 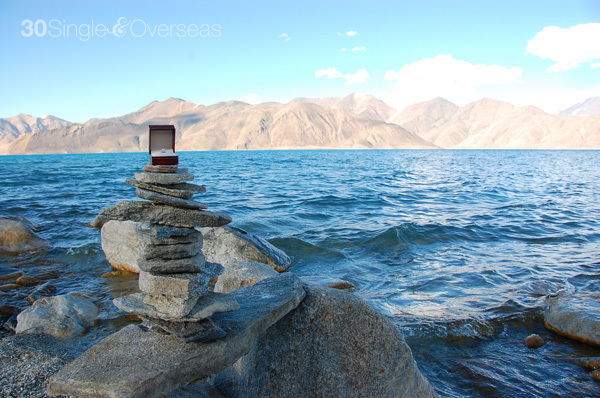 Place where "A" and I got engaged. And place where I blew my nose from crying out of joy. As much as I’d like to share this trip, apart of me is selfishly wishing that this place would never become a tourist spot. Just promise me if and when you get here, be a responsible traveler and do stuff like avoid using plastic bottles (drink local water), save energy and minimize your impact on areas that you pass through. 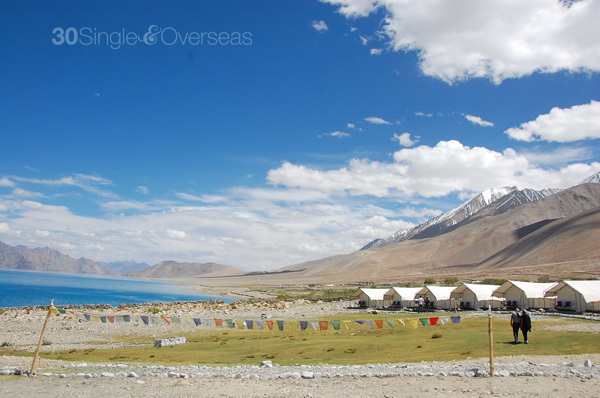 1 - Foreigners need an Inner Line Permit, which can only be obtained through a travel agent in Leh. 2 - The air up here is pretty thin. Most of us had a hard time sleeping because of the lack of oxygen and some of us developed a migraine and some other respiratory issues. Make sure you bring necessary medications and a few cans of oxygens. 3 - Trash left behind are burned. Take your trash (plastic bottles, wrappers, etc) with you when you leave. 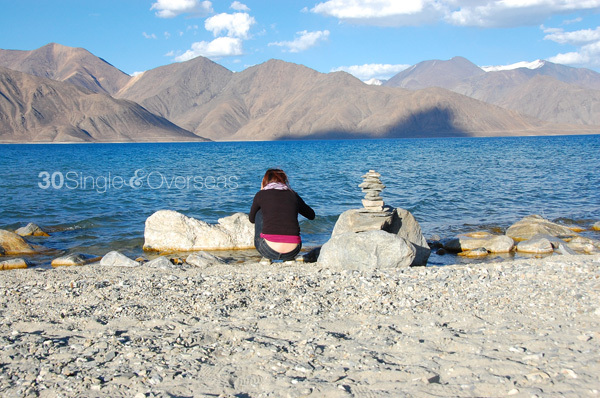 For more Pangong pictures, click here. what camera do you use!? 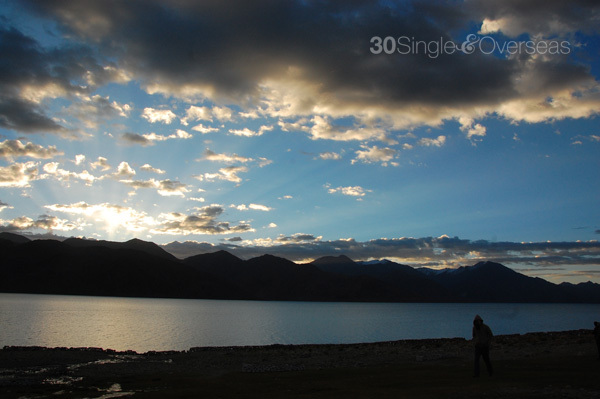 I used a Nikon D40 - the simplest, easiest DSLR you can find.